Who would have ever thought that we’d see a day when a Toyota Yaris and Mitsubishi Mirage cost $16,000 – $17,000? That’s just a base price. The top trim Yaris could cost you as much as $19,000, and all you’re getting for it is 106 hp, 32 combined mpg, a touch screen and bluetooth. There isn’t much cargo room, very little shoulder and leg room, and at the end of the day, you’d be better off buying a Honda Fit. When does the cost for sub compacts become unreasonable, especially since we’re talking about a market that attracts consumers who want overall practicality? The problem with the price is what the subcompact car is offering. Yes, to add features like a touch screen and bluetooth is great, but what is the overall goal with this market? To be practical in every sense of the word. For starters, the price isn’t practical. Not when it comes to the other options on the market. In a matter of 8 years, the Yaris’ price has spiked $3,000, and while MSRP says the base price is around $16,000 for the 2015 model, Toyota dealers are selling some of them close to $19,000+. Without even looking to other brands, the Yaris’ top trim price is invading the Toyota Corolla’s territory. One could argue that the Honda Fit does the same to the Civic, but at least the Fit has cargo room and offers more value to the consumer. With President’s Day sales extended into March due to the snowstorms we’ve gotten in the Northeast, there are better options consumers could go with, and while fuel economy might be lacking, some of the cars are not too far off from the Yaris’ 32 combined mpg. Those five vehicles are better options in terms of cargo space, shoulder and leg room, and fuel economy isn’t too bad. The list could be extended even further, but I think you get the picture as to what you could get at this price if you decided to buy new. Due to sales events going on currently, the Hyundai Elantra SE/Sport and the Elantra GT are within the $18,000 to $19,500 range. The Subaru Impreza sedan and hatchback are also available within this price range, along with the Volkswagen Jetta S /w Technology Package, and even the Chrysler 200 limited which is one of the biggest surprises so far to have such a sale. After seeing the prices, the subcompact market doesn’t seem so reasonable or practical anymore. 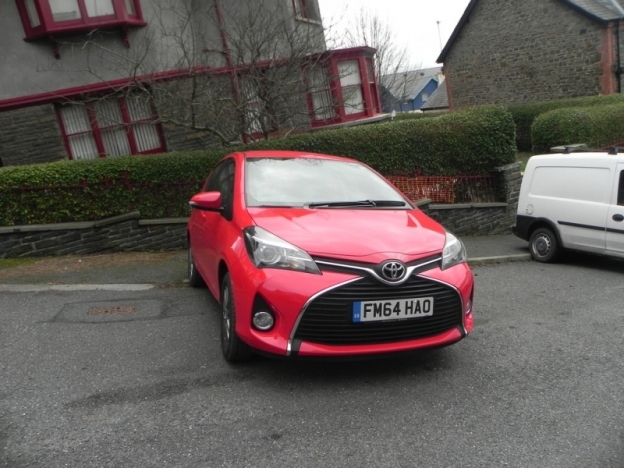 If owning a small car is a must and you’re not concerned about cargo space, then by all means go with the Yaris or Mirage. But always remember that there are some great offers out there, and better cars to choose from than going the subcompact route. If you prefer a small hatchback, the Fiesta, Fit, VW Golf, Elantra GT, and Kia Rio are other options on the table. In the sedan market, some dealers even have Ford Fusion’s, Toyota Camry’s, and Hyundai Sonata’s on sale for $3,000 to $4,000 below MSRP. Right now is the time to buy and take advantage of some of the deals. On a $16,000 – $19,500 budget, you could find a quality car that not only looks better, but is better built and worth the price. Go on any online forum, Facebook page or group, Twitter, or Reddit and you’ll find an overwhelming majority of commenters and members of groups discouraging many people from leasing when they ask the question. Everyone is entitled to their opinion. Some people prefer buying outright, some would rather buy certified pre-owned or used, and a growing percentage of consumers are looking at leasing rather than buying. Every consumer has their motivation as to how, what, and why they buy the cars they do, but why is leasing always ripped when someone asks the question? One of drawbacks of leasing is the annual mileage limit that typically ranges between 10,000 – 12,000 miles, depending on the car brand. You’re also looking at a higher down payment on a lease. But there are other factors (I’ll get to that in a moment) where the $2,000 – $3,000 down payment doesn’t look so bad in the long run. You will also not have the option to trade in the car after your lease is up, but you can buy the car or look at leasing again. Lastly, any extra miles that go above the annual limit, or scratches and dents, will cost you at the end of the lease, so you must be more careful than if you bought new or used. Now that we’ve got the negatives out of the way, let’s take a look at why leasing is actually better. As a used car buyer, I’ve experienced dealing with maintenance due to owning an aging car. I have monthly car payments, and I had to put a $2,000 down payment on the car. Right there we’re looking at close to $4,000+ (not including the monthly payments) with the down payment and maintenance. I’m paying $200+ a month on car payments, and to put that into perspective, the payments are more than if I leased a new Mazda 3 sedan or hatchback, Toyota RAV4, or a Honda CR-V. The payments are a concern for people inquiring about the costs of leasing, and the advice givers always go back to the payments as a strongpoint to oppose the idea of leasing. However, if you’re in the position where you can’t buy a used car outright and put a down payment on it, you’re still dealing with monthly payments. Unlike with leasing, you could be locked in for 48 – 60 months depending on how much you want to pay per month, as opposed to being committed for 24 – 36 months with a lease. So right there you’re putting in an extra year or two on an older car that could be subject to mechanical failure due to high mileage or age. Some dealerships are now offering free maintenance with a lease. That’s huge, especially if you’re thinking longterm. There are dealerships out there that also offer competitive prices when it comes to oil changes and wheel alignment. Also with a lease, you’re less likely to have to deal with major maintenance bills with the car being so new. There are no previous owners, so the entire time you have the car you know it’s history from your first drive to the last time you’ll ever see the car. The last positive is that dealership’s leasing offers are always changing, especially during holidays. 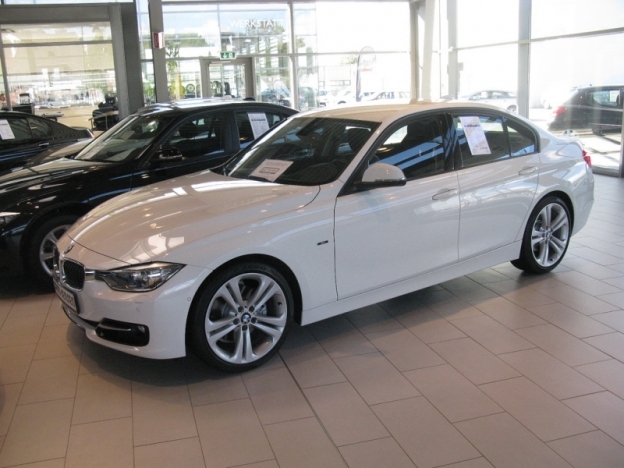 Herb Chambers BMW of Sudbury had an offer for the BMW 328ix that you couldn’t refuse. It was $275 a month with a $3,000+ down payment (usually you’d be paying close to $300+ a month). I know the down payment would scare anyone away, but if you have the money, you can’t tell me you’d rather buy a $3,000 early 2000’s Honda Civic with 180,000 miles that’s been owned by 3 different people, than a new 3 series. Now again, it’s all about where you are financially, but whether you’re a parent or college graduate, you would prefer something new or newer than having to deal with the headaches and hassles of owning an older car. It doesn’t have to be a BMW, but a new Mazda 3, Honda Civic, Toyota Corolla and RAV4, or Subaru would be a better option than buying used and dealing with the unknowns. Yes, leasing has it’s downsides, but so does buying used. It really depends on what you’re specifically looking for. As someone who owns a nine year old car, driving a new car with a lower monthly payment sounds great. Also, the peace of mind of owning a new car with no mechanical issues or aging equipment would make me sleep more soundly at night. Will The Ford Focus RS Bring Performance Packages To Cheaper Vehicles? The Ford Focus RS is no doubt a game changer in the auto industry. For the first time, Ford is bringing their performance packaged Focus RS to the United States, which has also raised the question of whether we’ll see an RS version of the Fiesta. By doing this however, Ford would be awakening some sleeping giants in the auto world who are waiting for their moment to break free and start offering performance vehicles to the average consumer. This could also have an impact on Subaru’s turf as the WRX STI hasn’t had many challengers, if any since the Mitsubishi Lancer’s steep decent into irrelevancy. This may also eventually reach Volkswagen’s stake in the hatchback market if other car companies start following suit. Toyota is already mulling over the idea of unleashing the TRD performance packages for the Camry, and one could then speculate on whether the Toyota Corolla will get the same treatment. For the past few years Ford has been going at it with Toyota and Honda to become the top dog in annual sales, and with the RS line, it’s very possible that consumers may start looking to performance. Toyota already realizes this, and are at least looking into getting in on the action. Prior to the Focus RS’s unveiling, the Subaru WRX STI and the Volkswagen GTI were sitting comfortably in their respective markets. The GTI has always been the favorite for hatchbacks and are extremely popular, even with the Focus ST being priced in the same neighborhood. Now with an AWD Focus, Ford has some leverage to entice consumers to look at other options besides the GTI. 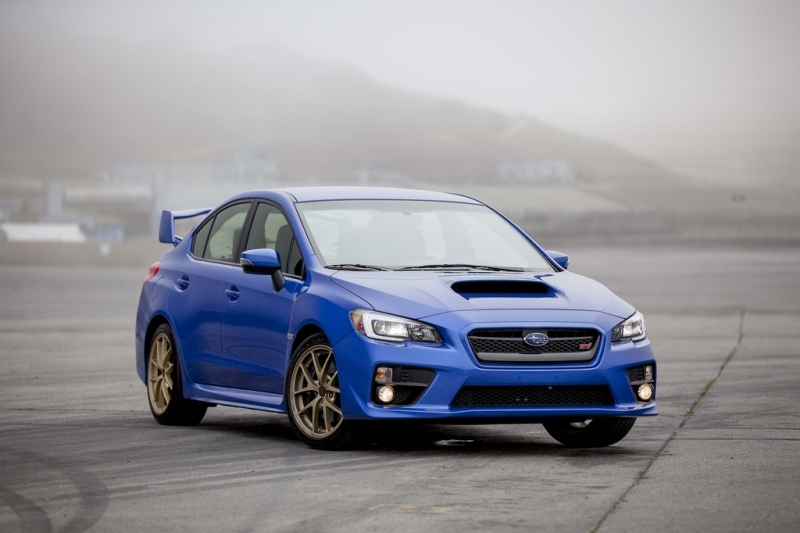 The Subaru WRX STI on the other hand will be harder to dethrone, as car manufactures who’ve tried to compete with Subaru ultimately failed, and it will take some time for Ford to convince consumers in that market to make the switch. In the past year or so, we’ve seen almost every car manufacturer get in on a new, emerging market. 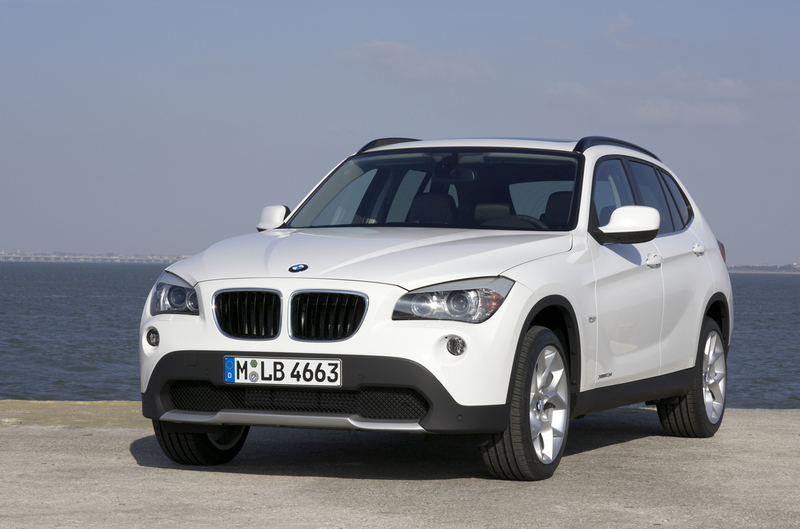 BMW and Mercedes Benz are now duking it out with the X6 and GLE in a market that could be gaining some traction. Right now it seems that performance packaged hatchbacks and compact sedans could become the latest trend in the automotive world. What we’re witnessing is an intensity in competition between automakers that really hasn’t been seen since the dawn of the muscle car. In the past, car companies would be unique and try selling based on a feature or design that no one else could offer. Now it appears that to stay alive, auto brands are continuously attempting to improve an existing design. Up until recently, no one tried to advance on the WRX STI and the GTI’s turf, but with Ford making the bold move to bring a version of the Focus that was being sold outside the United States to America, we may see other car brands do the same. Honda will not be bringing over the Civic Type R until at least 2017, but you can believe that if Toyota starts selling TRD packaged Camry’s and Corolla’s, Honda will start feeling the pressure to sell a quality performance car. Consumers are going to have variety in almost every market. Now it comes down to personal preference. The diehard GTI and WRX STI fans will be reluctant to switch to a different brand, but for Millennials who are starting to buy cars, they may look to new brands, and etch their own buying habits in stone. 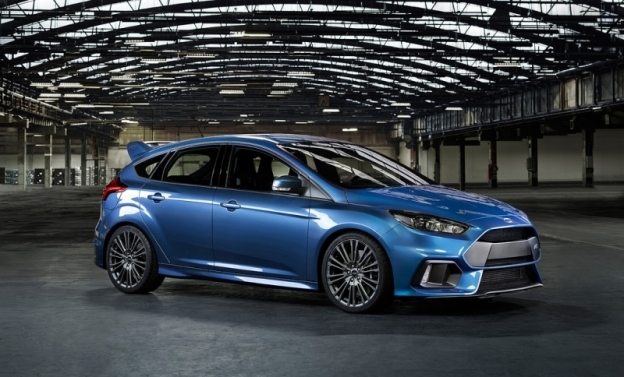 Author Mike CerraPosted on February 11, 2015 April 8, 2015 Categories FordTags Ford, Ford Focus RS, Honda, RS, Subaru, Subaru WRX STI, Toyota, TRD, Volkswagen, Volkswagen GTILeave a comment on Will The Ford Focus RS Bring Performance Packages To Cheaper Vehicles? The past five to ten years for the auto industry has seen countless innovations and changes, from cars being more economical, smaller SUV’s, to auto manufacturers changing their identity to keep up with the times. Mazda is one of many manufacturers who changed their lineup to appeal to all generations with their new designs and models that range across the spectrum of the auto world. A company that was primarily sports car driven with the Miata and RX-7, is now continuously finding ways to add on to what they’ve built in the past decade. The Mazda 3, Mazda 6, CX-5, and CX-9 have created a solid foundation for the Japanese auto maker to build on. The 3 and 6 are beginning to compete against tough competition, as sedans priced between $20,000 – $30,000 have become extremely competitive. Because of this, auto brands are releasing some of the best looking cars in the segment. The Chrysler 200, Ford Focus and Fusion, Honda Civic and Accord, Subaru Impreza and Legacy, and Mazda’s 3 and 6 might just be the most options consumers have ever had in the compact to mid-size sedan segment. With that being said, a new trend in the auto industry is here, and you can thank the Germans for that. Mercedes Benz, Audi, and BMW are in a battle of their own, fighting for position and dominating the smaller luxury car market. This fight for a majority stake in the $30,000 – $40,000 range has trickled down to companies who primarily sell cars $10,000 cheaper. Chrysler, Ford, Honda, Subaru, Mazda, and Hyundai know that if they don’t start jockeying for position in their respected segment, they’ll become victims to the big three in Germany. Consumers are beginning to see the opportunities that BMW, Audi, and Mercedes Benz have opened up and are now buying A3’s, CLA’s, and BMW X1’s. After two strong years for the Germans, the other auto manufacturers have had to throw a few punches of their own. Think about it. Did you ever think you’d see the day when a Honda Fit or Civic would have a touch screen in their dashboards? 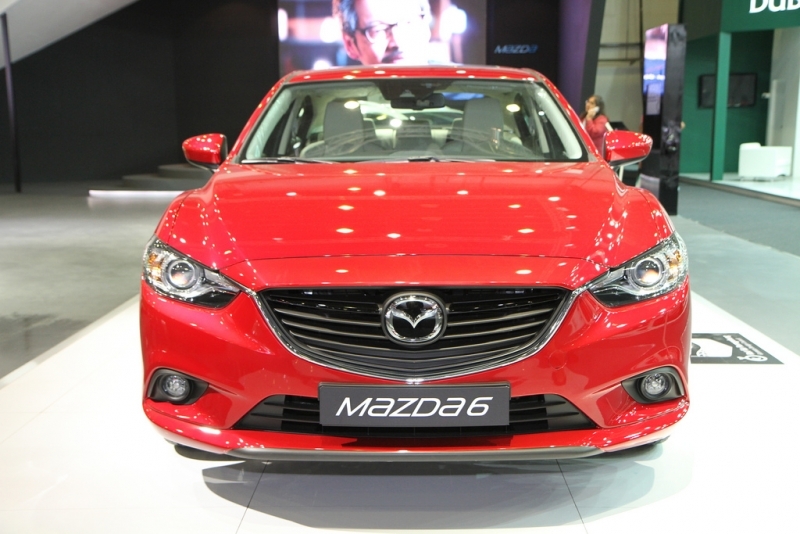 Mazda’s, Subaru’s, and Hyundai’s are looking more high class which is making the consumer very bold in this segment. Four-door sedans, hatchbacks, and crossovers are the new, hot toys on the market. Sports cars are seeing a decline in sales, and despite lower gas prices, consumers aren’t buying bigger SUV’s like they once did. We are going to continue seeing the auto industry changing, but for the better. Right now, as consumers, we’re like kids in a candy store and the auto manufactures continue coming out with new things to try. Mazda is about to unleash the new CX-3 which will take a bite in the small crossover segment, Honda is still going strong with the models they’re selling, Subaru continues to change their model’s appearances to entice buyers, Ford is pushing the Titanium trims of the Focus and Fusion, and Chrysler’s 200 not only looks classy, but now offers a V-6 engine under the hood that supplies 295 HP. This is an amazing time to be in the market for a car. You can buy new or used, or lease which will put you behind the wheel of these new cars. 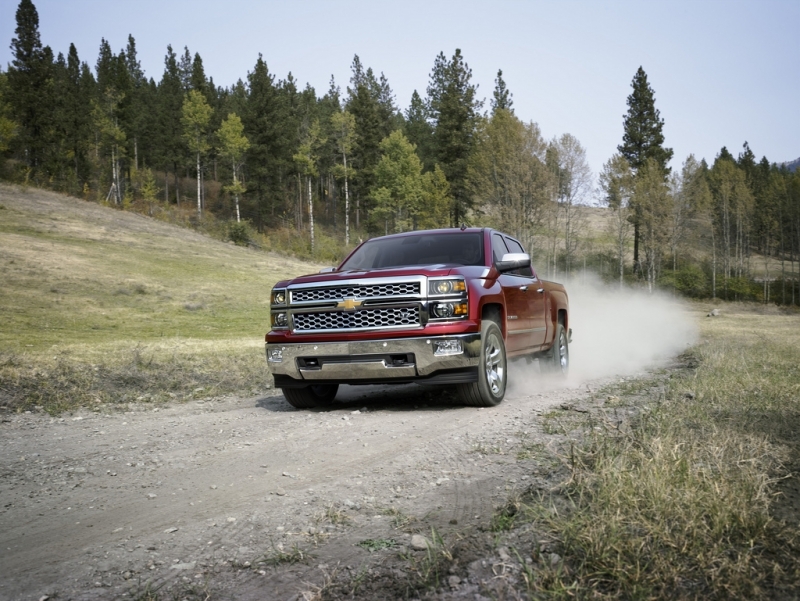 Best of all, dealerships are offering great lease deals, especially around the holidays. Heading into 2015, you don’t have to own a BMW, Audi, or Mercedes Benz to drive a nice a car that provides luxury and a quiet interior. For the die-hard gear-head, manual transmissions will always be what they swear by as it’s the only true way to experience every aspect of a sports car. But in the 21st century we’re given an array of different transmission types that allow the driver to either cruise in automatic, or have some fun by shifting into a non pure form of manual. However, whether you prefer an automatic or manual, the Continuously Variable Transmission (CVT) will most likely ruin your driving experience. CVT’s can be found on most Japanese cars including the Subaru WRX, which as a car enthusiast, makes me cringe at the thought that the four-door sports car doesn’t get a more driver-friendly transmission. Some may wonder what’s the difference between a CVT and a regular transmission. When you floor the gas pedal you don’t get the full experience of hearing the transmission changing gears. Every kid can relate to the sound of the engine going through the gears, and if you own a CVT, you’ll never get to hear the switch to the new gear. If you’re more concerned about fuel economy, a CVT would be the better choice as it’s designed to help save gas when you’re accelerating. The Honda Civic, Toyota Corolla, and Subaru Legacy to name a few, are some of the models that have a CVT in them, but out of those three, the Legacy doesn’t get anywhere near the MPG’s of the Corolla and Civic. The 3.6R limited trim of the Legacy gets 20 mpg in the city and 29 mpg on the highway, but that does get overshadowed by the fact that there is a CVT transmission in the car. What’s the point in having the sportier version of a sedan when you can’t fully enjoy the revs and changes of gears? Sports cars, and versions with a sports package should be enjoyed to the greatest extent. To put a CVT into a car that was built for the car enthusiast or the one who wanted to floor the gas pedal completely defeats the purpose of manufacturing the car at all. Other than a few ideal situations and how the car is used, a CVT would be useful in the city, but if you intend to take the car onto the open roads, don’t expect to feel the rush and excitement of accelerating on the highway and hearing the transmission go through the gears.